In Lynn Stegner’s fourth book, Because a Fire Was in My Head, we meet one of the most unpleasant protagonists in the history of literature in the person of Kate Riley. Kate is the daughter of Irish immigrants in Saskatchewan, and after losing her father at a young age, Kate learns about survival from her martyred mother, who never misses an opportunity to let her daughter know how unpleasant her life is and has been. From the opening scene, Stegner uses her descriptive skills and great insight into her character as Kate watches a blind woman try and pick up the droppings her dog has left in the gutter. Throughout the novel, Kate has a vague sense that she should feel something toward the people and the events around her. And yet she doesn’t. In this scene, she considers telling her male companion about the woman’s plight, but in the end, she decides ‘Who would want to share so remarkable a moment?’ It establishes Kate’s attitude toward everything in her life. She’s not capable or interested in sharing with anyone. But it’s fascinating to see to what lengths our protagonist will go for her acquisitions. It turns out that this opening car ride is a trip to the hospital, where Kate is to have brain surgery for a tumor that she already knows isn’t there. She marries twice, both times impulsively, and both times without a hint of love, because both men offer her something she feels that she needs. Throughout her first marriage to Jan Larsen, an hotelier, Kate arranges for afternoon trysts with other men, at one point leaving her son in a running car for several hours. The boy almost dies from carbon monoxide poisoning, and Jan finally gives up on her after this. This is after she’s given up her first child for adoption when the doctor tells her the baby is blind (another falsehood), and after she has kissed a man she knows has the flu so that she can avoid breast feeding her baby. Kate also stands by while one man paralyzes himself trying to impress her with an ill-advised (and drunken) dive. The thing that drives all of this behavior is what drives many of us, but which Kate never seems to find relief from, which is an insatiable loneliness and need for love. Because she is so scarred by the loss of her father, and by the cruel indifference of her nurse mother, who only noticed her when she was sick, Kate’s quest for these things is misshapen. She looks for men who treat her badly, and invents her own maladies, even keeping a journal of her illnesses, both real and imagined. 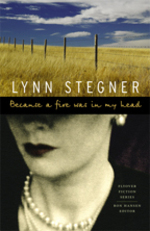 Stegner makes particular good use of the time frame that the story takes place, as the options for women are so limited, and the pressure to present yourself as successful is so focused on how you look and to whom you’re married. Kate has gotten these messages, but she doesn’t have the self-awareness to be content with her life even when she does have it all. If she had been stronger, if her will had not swooned at the gates of desire, if she had not dropped to her knees before even the least and shabbiest of temptations; if she had not been so much a part and product of her times, of the confused or dissolving codes, the rush to modernity with its glorified standards of living clambering ever up; if she had not acted always in the service of her own idolatry and had been able to reach beyond her own moment in time into the moments of others, and into the future; then she might have recognized both her insignificance and her importance.